As part of the OnGame network, EuroPoker is another useful room in that they offer a good no-download version of their software. 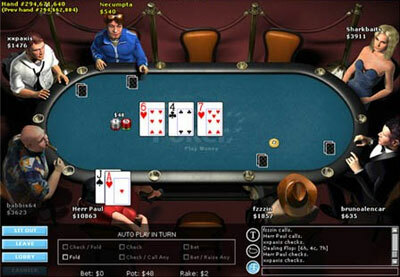 The Java version can be played from any browser, and is compatible with any machine or OS, including Linux and Mac OS's. While there's nothing inherently wrong with the poker room as a whole, it's a little disappointing that while the name implies a Euro-centric theme, EuroPoker actually still does business in United States currency. There are plenty of depositing options available for Europeans, but other types of currency are simply converted to US valued chips for play just like everywhere else. All in all, EuroPoker is a fine place to play in general, but they just don't offer anything better than the network competition. Other rooms operating on the OnGame platform, including Poker Room and Hollywood Poker offer just as good id not better incentives, service and promotions. While it's a fine place to play as a whole, there's nothing that really stands out about it over other rooms available on the OnGame network. Overall it's a nice looking venue with lots of varying limits and game choices, but it's pretty much an off-the-shelf template for an OnGame licence. Remember that despite the name, European players and their money are catered to no better than anywhere else here. 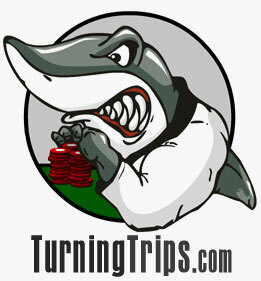 EuroPoker does not offer Pounds or Euro's as their native currency during play. 50% deposit bonus for new players (up to $100), plus a free tournament ticket.